Here are a few quicky photos of some of the items I'm bringing to the sale on 4/25-26 (see my last post for details). 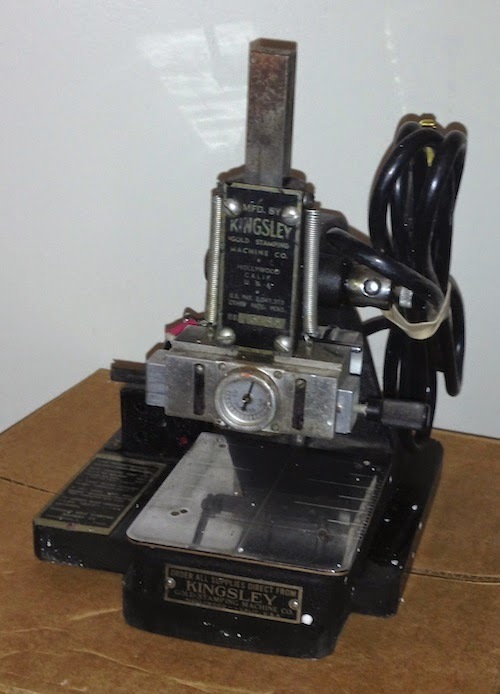 A Kingsley foil-stamping machine, with a full set of type and a roll of silver metallic foil. Hat blocks, head forms and tools. There are lots and lots of hatter's tools, going for $25-$300. $300 for the very rare, working electric brim curler. 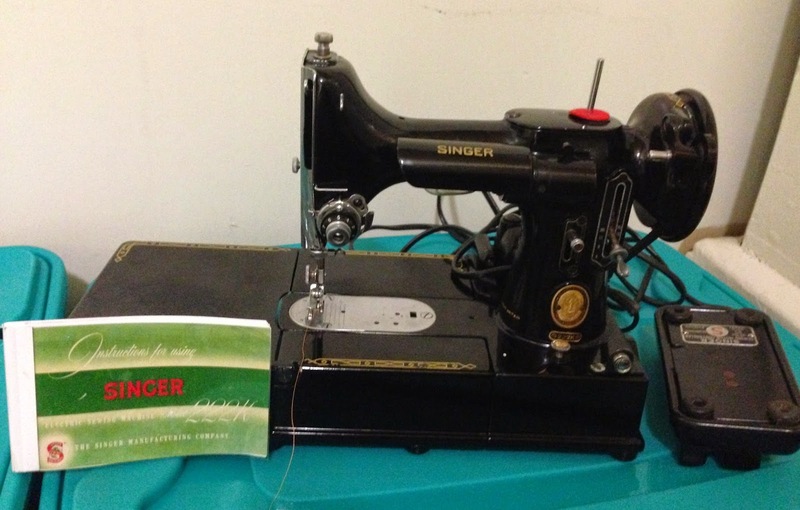 Singer Featherweight 222K free-arm machine. Excellent condition, recently refurbished and in perfect working condition comes with the case, manuals, and all the usual parts and feet, plus extras. $750 - a steal! I also have two Husqvarna Viking sewing machines. Both are in excellent working condition, have been recently serviced, and come with manuals and *tons* of extra parts, feet, accessories, etc. They usually go for the prices given below without all the extras, but I'm throwing them in for free. Plus an antique fabric pinking machine, feathers, fabrics, trims, veiling, and lots more. I would be interested in purchasing the hat block in the far right corner of your middle picture. It's a crown and a brim, I believe. I don't live in San Francisco. Would you be willing to sell it online? This is Austin Gray - we met at Jan Wutowski's class last summer.